Learn How to Get Rid of Migraines! Listen to the podcast or watch the video on YouTube. The video is not very good quality (I need a new webcam) but the podcast version is great. Interview with Gary at BioHackers Lab. And here is BioHackers lab: https://www.biohackerslab.com/ep65-dr-angela-stanton/ for the podcast if you wish only the sound. Please send message via contact if you have any questions. The moment I wrote this article, it immediately received big pharma attacks. That’s great!! It seems I stirred the hornets’ nest really big! My research based academic articles, the actual clinical trials of the drug itself, and the FDA label details, concluded that the drug doesn’t work–only a couple of migraine-free days are gained per month. There are migraineurs on Aimovig who are currently my migraine group to learn how to become migraine free. For big pharma it is all about the money! Keep that in mind before you jump and spend a lot of money! There is a free treatment that works for all–so far getting close to 5000 migraineurs who no longer suffer migraines. It doesn’t come from medicines. It comes from understanding what migraine is. Be aware! Help those with migraines see that this drug is not any more magic bullet than any others in the past. it may also cause permanent damage–all listed in the detailed article linked to above so please read and share! So many migraine sufferers who started takign Aimovig continue to have migraines! They are continuing their other medications as well. This has to be one of the most dangerous situations for migraineurs. Please share and let them know: this drug is not the miracle it is being sold as. Its half-life is 28 days! That means that if one gets a horrible adverse effect, it stays for over a month! The adverse reactions are not listed on the FDA label! But they are listed on the supplementary table at the research paper’s website. Thanks for your help in helping migraine sufferers around the world! Updated: 8/12/2018 4:47 PM by Angela A Stanton, Ph.D. There is much more to the story than what is written in the newspaper, there is only room for partial story. For example, there is a huge salt phobia in scientific and medical circles, most still believing that salt causes high blood pressure, in spite of the many studies that show that salt doesn’t do so at all (here is the most prominent article on this subject in The Lancet). The increased salt consumption presents a stumbling block for scientists and doctors alike as well as the many migraineurs that join the Facebook group. Given the success of the Protocol (see the many testimonials here) over the past almost 5 years and the lack of anyone’s blood pressure ever increasing, the increased salt consumption has proven to be extremely important rather than becoming harmful. There are also several non-migraineurs on the protocol, many joining specifically because they had high blood pressure, some uncontrolled even after taking several medicines. They all ended up with reduced blood pressure and much greater health as a result of the protocol. 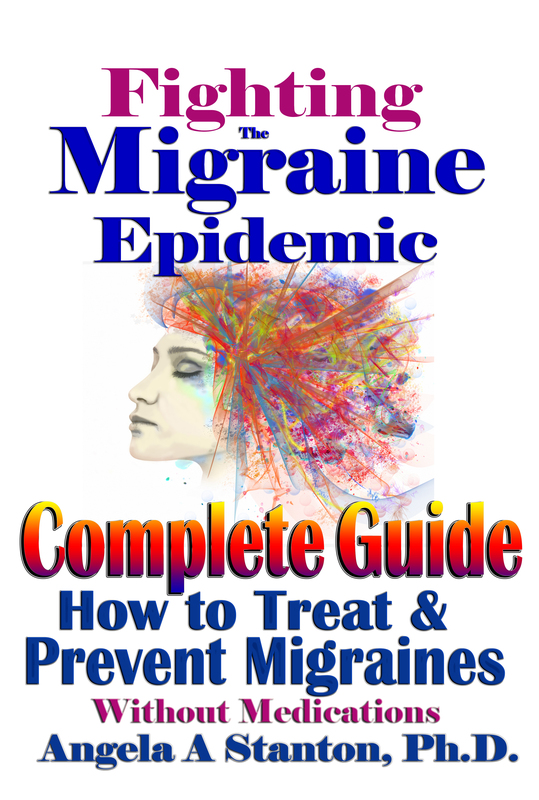 There is a lot of evidence that the Stanton Migraine Protocol works to prevent migraines. Migraineurs choose to come off of all of their medicines once they are migraine free and they remain migraine free as long as they stick to the Protocol. A blog article of mine published on eating gluten-free. Is eating gluten-free enough to stay healthy? I give a different perspective on grains; one you probably have never heard of before. Eat healthy, stay healthy, and share this post to all migraineurs (and non-migraineurs).